About Our Permission Based Marketing Software | Stream Data Systems About – Stream Data Systems Ltd.
We are a leading Canadian IT applications and managed service provider with 30 years of experience helping businesses create seamless IT solutions. We specialize in building user-friendly software for small and medium sized organizations. Through our Managed Cloud Services and Integration solutions we are able to provide exceptional support, saving you time and money – whether you choose to use their own servers or our Secure Datacenter. Our staff has a combined 50 years of database design, implementation and administration competence. Choose Stream Data for all of your IT Solution needs – from website and email hosting to custom design, development and web applications we have technical knowledge and expertise to deliver great products. With many of our clients requesting a Canadian Anti-Spam Law (CASL) compliant email marketing solution, we decided to offer CANmail, a software as a service (SAAS) solution, saving you both time and money. With permission based marketing, CASL compliance and email marketing is simplified. Similarly, we offer our CANdispatch solution to companies in need of an online, automated dispatching system. We also provide expert consulting in business intelligence, data warehousing and reporting architecture to help you develop the best solution for your needs. Choose Stream Data for all of your IT service needs – our expertise, professionalism and experience is unmatched. Help us continue to build great products that make our customers happy. System, CANdispatch, our goal is to help Canadian businesses operate more efficiently and with less headaches. Need help complying with the Canadian Anti-Spam Laws? Our CANmail system offers a high degree of control for email signup and consent. Interested in an online dispatch system for personal or vehicles? Choose our Secure Dispatch software for easy tracking and scheduling. Through our Touch Media Web Development and Integration Services we can also help you seamless integrate our products into your existing infrastructure. 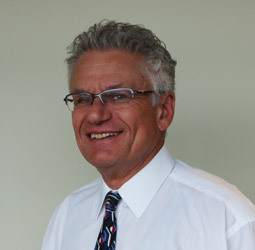 John is the founder and CEO of Stream Data Systems since incorporation in 1985. 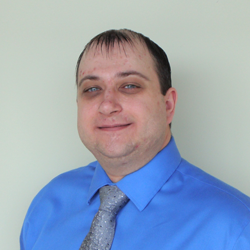 John is a lifelong learner driven to serve his customers as a leading edge internet technology firm. His core values include doing his life’s work, humanistic integrity, ongoing learning, sustainability, product quality, and accountability all contributing to a high quality of life. With over 30 years experience successfully delivering IT products and services, John leads a team of top achievers doing their life’s work in order to delight customers. Jason has been with Stream Data Systems for 23 years. His experience with Software Development, Systems Integration and Project Management provide a solid foundation for our SAAS services. He continues to bring secure, innovative, integrated and accessible solutions to our customers. Jay has been with Stream Data Systems for 6+ years. 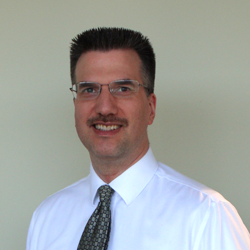 His experience with hardware, software and providing support ensures our customers have the tools to do their jobs. He ensures that our customers can focus on their tasks and remain productive and efficient and utilize technology to their advantage. Are you up to date on Canada’s new anti-spam legislation ? If you promote or market your organization, products or services to Canadians it’s important to understand how Canada’s new anti-spam law works. Learn more about how CASL may affect you and your business.